Plants tend to be tall and the flowers may be quite large (up to 1 foot / 30 cm across). They are very fragrant and tend to be outward facing, bowl shaped with elegant recurving petals. Available in many lovely colors. A single stem will produce 6-8 flowers. They are sturdy and longlasting. 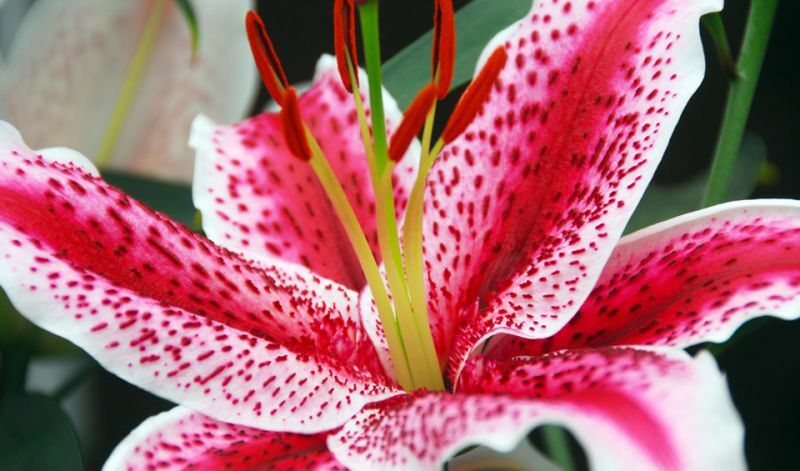 Recently on the market are all new double flowering Oriental hybrids that are also pollen free. 'Acapulco' (rose-pink), 'Casa Blanca' (white), 'Dizzy' (white & pink), 'Mona Lisa' (soft pink), 'Muscadet' (white & pink), 'Siberia' (white), 'Sorbonne' (soft & dark pink), and 'Stargazer' (dark pink & white).